A FEW weeks ago I took two of my nephews fishing. One was 14 years old and the other 15. Sad to say, the fish were not biting. So, to keep them from feeling bored, I started telling them about the days when I used to follow my father fishing. I told them about how clear and clean the sea was. You could hardly see rubbish floating on the surface. But now, whenever there is a change of tide, one can see plastic bottles, polystyrene cups, polystyrene food containers and plastic bags of different sizes and colours floating past our boat. Next, I told them about how big our catches were, and how, when I was about their age, I caught a 4kg grouper. Looking up, my nephew spotted a fish eagle circling above an island about 150m away from our boat. The locals call this small island Pulau Burung. I remember at one time just before sunset, the island would be so noisy with the sound of birds coming home to roost. But what surprised me was when one of my nephews said: "You are so lucky to have been born early, because you had a chance to enjoy all nature had to offer." This got me thinking: we must preserve God's creation for the future generation to enjoy. But, a lot of people would say: "I am just one person, how much can I do?" I like what the late Michael Jackson said in one of his songs -- it starts with the man in the mirror. We can start by not throwing rubbish indiscriminately. The rubbish will find its way into a drain or river and eventually into the sea. We should also follow the 3Rs diligently: Reduce, Reuse, Recycle. While biodegradable plastic bags are becoming available, most of the plastic bags still take years to begin to break down. When and if this process starts, toxins in the bags leach into the environment, poisoning everything around them. Plastic bags that end up in oceans are a huge hazard to marine life. The bags can wrap around the necks or fins of marine animals or be swallowed by them. Sea turtles, especially, mistake plastic bags for food (such as jelly fish) and eat it. This causes blockage in their digestive system and eventual death. The piles of plastic waste threaten wildlife and natural areas, making the world a less beautiful and healthy place. In addition, cleaning up the trash costs taxpayers hundreds of millions of ringgit. 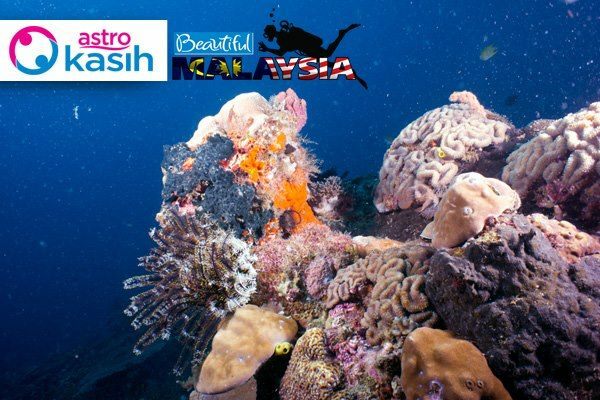 In 2011, Astro, under its Kasih Beautiful Malaysia programme, planted 777 individual corals at Ribbon Reef in Tun Sakaran Marine Park near Bohey Dulang Island, Sabah. As individuals we might not have the money or the time to do something like what Astro did, but we can still do our small, but very important part: Reduce, Reuse and Recycle.